Markham's Behavioral Health: New York State bans mental health professionals from providing "conversion therapy." in 2019. 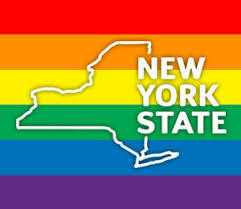 New York State bans mental health professionals from providing "conversion therapy." in 2019. Editor's note. I have practiced in the mental health field for over 50 years and have seen great changes in professional and public attitudes towards homosexuality. As a Professional Social Worker I have worked with my colleagues to diminish and eliminate the homophobia in our society. I have worked with many clients who have been harmed by homophobia and have striven to provide acceptance and unconditional positive regard for the worth and dignity of every person. It is a great joy to see this law passed in the New York State legislature at a very fittiing time in the calendar year when we also celebrate Martin Luther King, Jr. day.